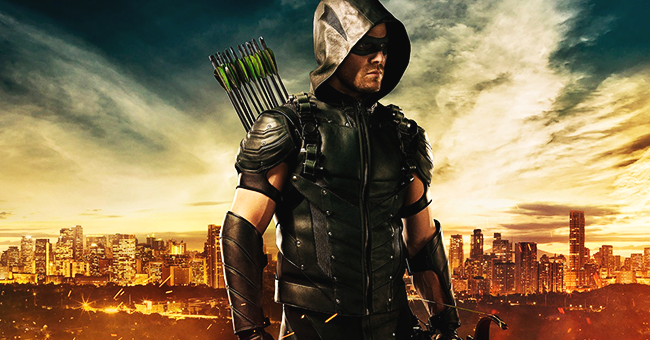 The CW has released the official synopsis for “Dark Waters,” the mid-season finale and 9th episode of Arrow Season 4. OLIVER TAKES ON HIVE — After the city is attacked again, Oliver (Stephen Amell) makes a bold move against HIVE. Malcolm (John Barrowman) checks in on Thea (Willa Holland) and leaves her with a warning. Things take a horrible turn when Damien Darhk (guest star Neal McDonough) retaliates in a brutal manner at Oliver’s mayoral holiday party. John Behring directed the episode written by Wendy Mericle & Ben Sokolowski (#409).